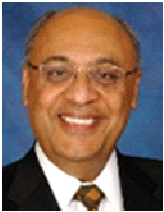 Jagat Narula, MD, PhD, MACC is Professor of Medicine and Philip J. and Harriet L. Goodhart Chair in Cardiology, and the Director of Cardiovascular Imaging Program in Mount Sinai’s Zena and Michael A. Wiener Cardiovascular Institute and the Marie-Josée and Henry R. Kravis Center for Cardiovascular Health. He is the Associate Dean for Global Health at the Icahn School of Medicine at Mount Sinai. In 1989, upon finishing his cardiology fellowship training and PhD (Cardiovascular Immunology) from the All India Institute of Medical Sciences – Delhi, Dr. Narula relocated to Massachusetts General Hospital (MGH) and Harvard Medical School. At MGH, he completed cardiology, heart failure & transplantation, and nuclear cardiology fellowships and then joined the cardiology faculty. In 1997, he moved to Hahnemann University Schoolof Medicine, Philadelphia, where he was Thomas J. Vischer Professor of Medicine, Chief of the Division of Cardiology, Vice-Chairman of the department of Internal Medicine, and Director of Heart Failure & Transplantation Center. He subsequently joined University of California, Irvine School of Medicine (2003) as Chief of the Division of Cardiology, Associate Dean for Research, and Director of the Cardiovascular Center of the UC Irvine’s Douglas Hospital. He was also the Director of Memorial Heart & Vascular Institute, Long Beach Memorial Hospital, and Medical Director of the Edwards Lifesciences Center for Advanced Cardiovascular Technology in UC Irvine’s Henry Samueli School of Engineering. Dr. Narula has the unique distinction of being able to combine molecular and subcellular pathology and imaging with clinical imaging of the failing myocardium and high-risk coronary atherosclerotic plaques to develop novel strategies for prevention of cardiovascular disease and promotion of cardiovascular health in developed as well as developing countries. He has specifically contributed to two major areas including heart muscle cell apoptosis in heart failure, and lipid-rich atherosclerotic plaques that are susceptible to rupture and acute coronary events. He has brought novel experimental strategies to bedside and defined their applicability at the community level. He is the Editor-in-Chief of the Journal of American College of Cardiology: Cardiovascular Imaging. He is also the Editor-in-Chief of Global Heart (the official Journal of World Heart Federation). He is currently actively involved in population-based heart attack prevention programs including HAPPY [Heart Attack Prevention Program for You]. He has served on the Advisory Council on Global Prevention of Cardiovascular Diseases of the Institute of Medicine of the National Academies of Sciences. His research has been funded, in part, by the grants from National Institutes of Health. He is considered to be a true translationist and one of the infrequent investigators who has the distinction of publishing in the best basic science and the best clinical journals including Science, Nature Medicine, PNAS, New England Journal of Medicine, Lancet, Circulation and JACC. With more than 800 original research publications or presentations to his credit and more than 30 books or journal supplements edited, Dr. Narula has been awarded as ‘the best young investigator’ on several occasions for his research contributions. His mentoring prowess is exemplified by the fact that 20 of his fellows, working in his research laboratory, have been awarded young investigator awards; he was recently awarded as the Best Educator by the American College of Cardiology. He was also announced as one of the five Innovators in Cardiovascular Medicine in the year 2012, and was honored as the Master of the American College of Cardiology in March 2013.